The three-wheeled Solo has a base price of just under $20,000. VANCOUVER -- Although it has delivered only a handful of vehicles so far, Electra Meccanica Vehicles Corp. says it has corporate and retail orders worth $1.6 billion for its Solo single-seat electric commuter vehicle and Tofino electric sports car. The Vancouver-based EV maker said on Sept. 18 it had received nine letters of intent for corporate orders – one from Asia, two from Europe and six from North America – as of Sept. 14. Electra Meccanica defines corporate orders as those placed by dealers and distributors while retail orders are those vehicles sold directly to the customer. Its combined corporate and retail orders totalled 19,845 Solos and 24,202 Tofinos, totalling $1.604 billion in anticipated purchase price value, the company said. The automaker has received retail orders for 579 Soldos and 102 retail Tofinos, with the balance order volume of each model being corporate orders. Corporate orders require a letter of intent and all orders are non-binding. Retail buyers pay a refundable deposit. The three-wheeled Solo has a base price of just under $20,000, with the two-seat Tofino, scheduled to roll out in 2019, retailing for $50,000. 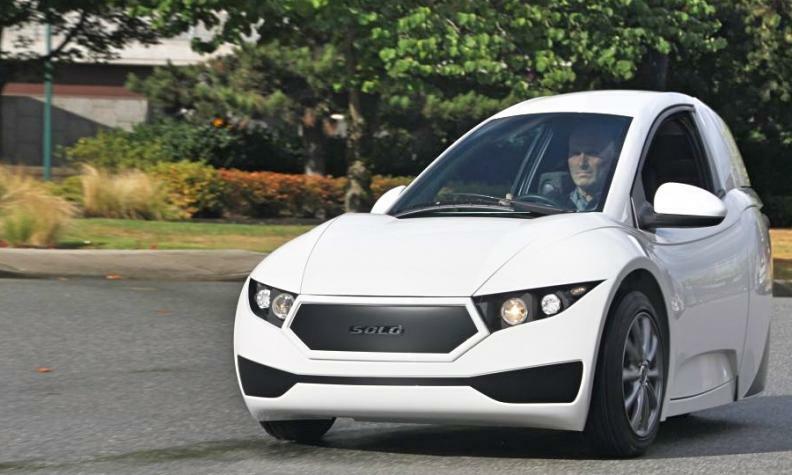 Electra Meccanica has begun limited production of the Solo at its existing Vancouver facility but expects volume production to begin in the first half of 2018, likely in China. An announcement is coming soon. The automaker is currently producing two Solos per month at its Vancouver facility with the hopes of making 10 per month there. All the Solos delivered so far have been in the Vancouver area. The vehicle is still undergoing U.S. safety certification.